Technology and retail giant Amazon has patented 'Airbags for Mobile Phones' which would protect the phones from accidental fall. As per the report published in the DailyMail, Amazon has developed little airbags which would cover the phones ar an event of a dropage before it hits on the floor. The technology works based on small on-board sensors which would activate the airbags and thereby protecting the expensive gadget from damage. 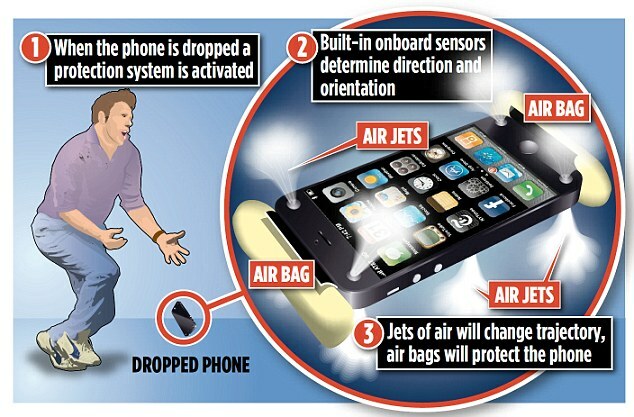 Even the sensors will activate jets of air which will change the trajectory of the phone while falling. The technology is set to revolutionize the small gadget industry which includes, smartphones, tablets, ebook readers like Kindle, cameras etc. The patent for the technology has been filed last week by Amazon’s founder, Jeff Bezos.